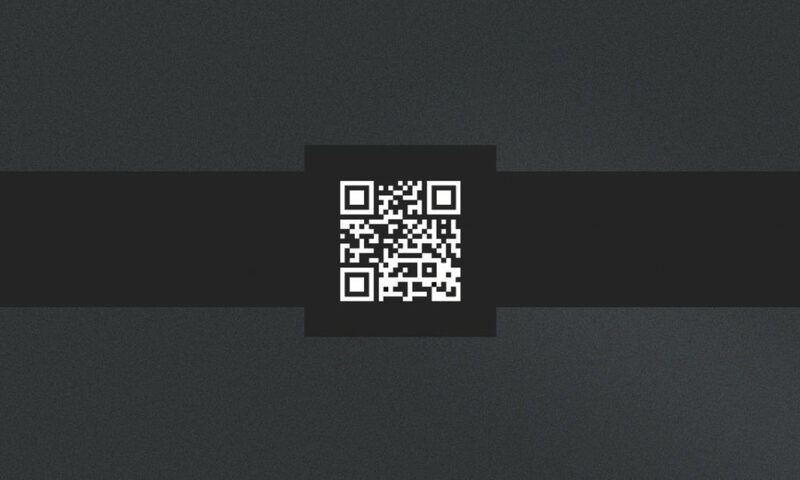 Download free QR Code Business Card Template for Photoshop and prepare awesome business cards including your own QR Code design in the background. 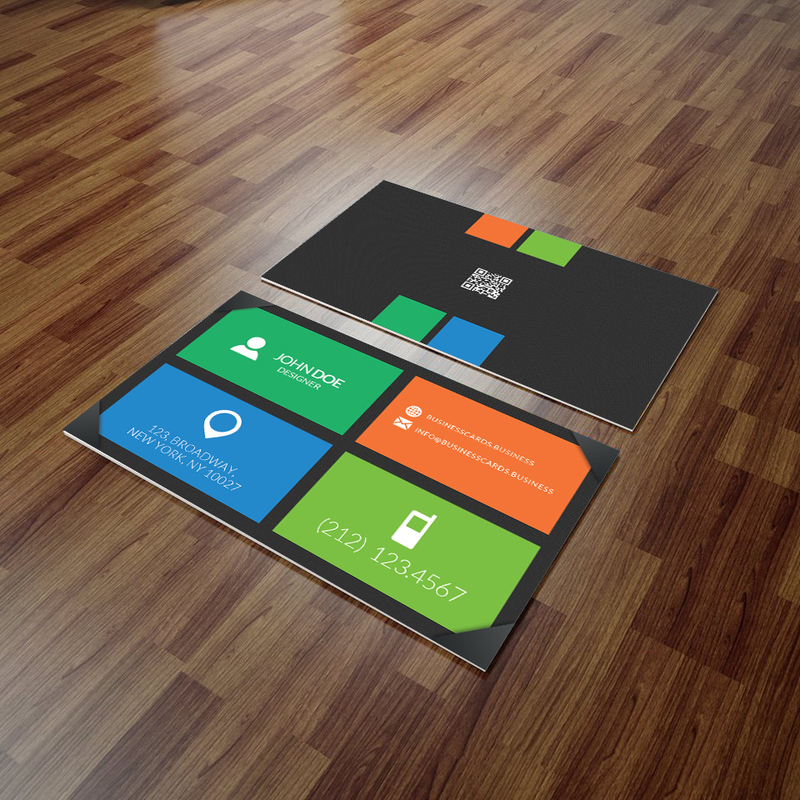 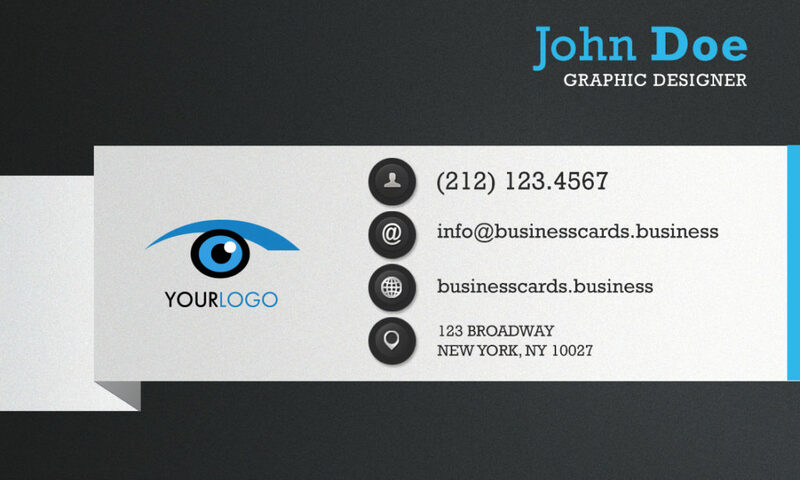 This business card template can be used either as a company business card or as a personal card. 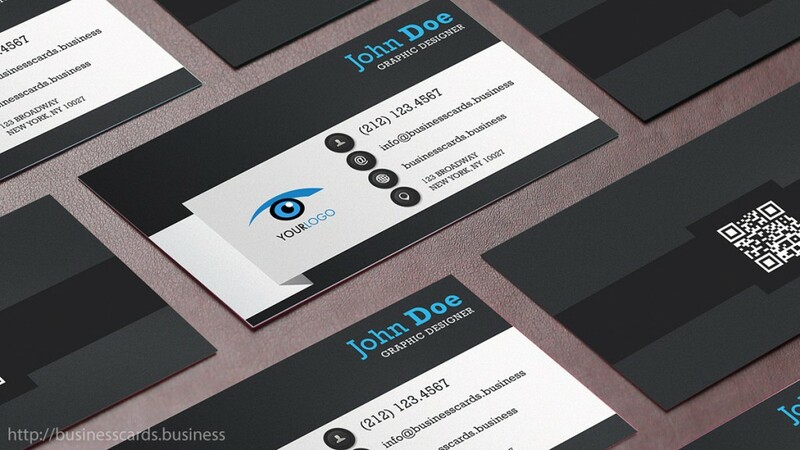 This creative business card design with a dark header including the holder name and white ribbon design can be used for graphic designers as well as top managers (company CEOs) as a presentation card.